Home Home Keeping How To Grow A Weed Plant? Depending on the legality in your area, there are lots of ways on how you can grow a weed plant even in your home. Contrary to previously held popular belief, which hopefully nowadays is not so popular anymore, weed has more advantages than risks. In comparison to alcohol, the number of deaths caused by marijuana is zero. One also cannot overdose on marijuana unlike alcohol or other drugs. Take a look at this great debate on alcohol vs. marijuana. The crime rates associated with marijuana is also significantly lower than that of alcohol. And it is much safer to drive after smoking weed than after drinking. But those are just some comparisons. As we explore ways on how you can grow a weed plant, we will also discover many more insightful facts about this controversial yet very underappreciated plant. Now before you get all excited, let us first make sure where this is legal so it is also safe to grow a weed plant wherever you’re planning to. Fortunately, as the world evolves and becomes wiser, more and more places are legalizing the use of marijuana. Here are just some of them. 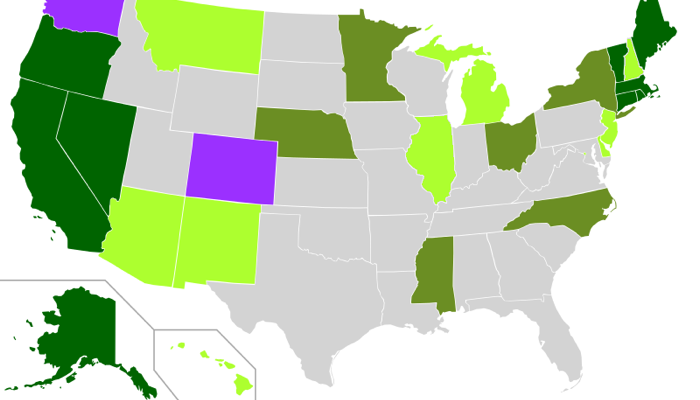 Not all states in the US have legalized weed but there are some places where medical marijuana is legal. There are 30 states, approximately and this number changes as laws are evolving. In some states, it is even legal for recreational purposes. This includes Washington state, Oregon, Nevada, California, Colorado, Alaska, Maine, Massachusetts, and Washington DC. Marijuana is legal for recreational use in Uruguay and is widely available. 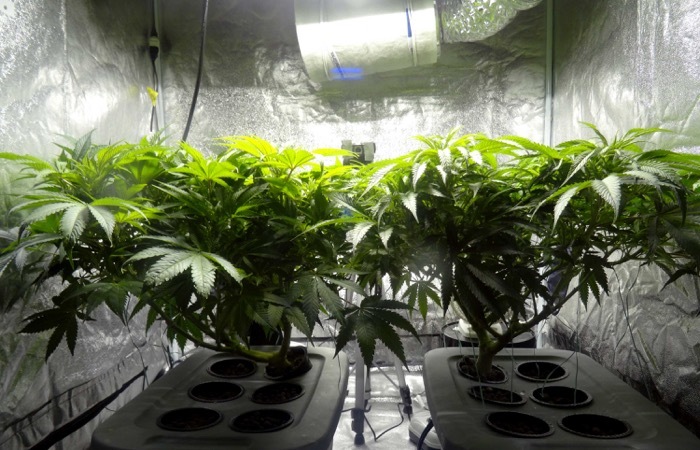 You can grow pot or weed in Columbia in small quantities since 2012. It is no longer illegal to own up to 20 grams of marijuana but smoking in public was previously illegal. Selling it and transporting it is illegal but you can grow up to 20 grams for personal use. It is legal to smoke medical marijuana in Canada in some cities but Prime Minister Justin Trudeau is currently working on legalizing it for recreational purposes nationwide. Medical marijuana is legal in the Czech Republic and usage of it is not a criminal offense unless you are in possession of a large quantity. You can legally purchase up to 15 grams in the country. It is not a criminal offense to smoke marijuana in Spain as long as you smoke in private. But it is not legal to sell or transport it. It is no longer illegal to be in possession of and consume cannabis in Portugal. But you cannot have more than a 10 day supply. You cannot sell them but you can grow a weed plant on your own. You can use marijuana in the Netherlands in coffee shops. Marijuana products are available but only in specific coffee shops. In 2013, marijuana is no longer illegal for people above 18 years with 10 grams or less. 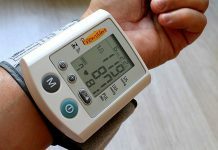 Medical marijuana derivatives are now legal in Romania since 2013 and people can have products that contain cannabis for medicinal purposes under certain conditions. Those are just some of the places and there are always specific conditions and varying degrees of leniency. In some countries, it is still a work in progress. Before you believe any of the arguments against marijuana, it is important to remember that science presents evidence and it is always better to rely on facts and evidence rather than claims. So before we begin looking at ways on how to grow a weed plant, here are some scientific facts about the benefits of marijuana. An increasing number of legitimate case studies and huge amounts of preclinical studies indicate that cannabinoids have tumor-fighting abilities. It is still underway which cancer types it is effective for. For those with a family history of cancer, this might be a good reason to look at how to grow a weed plant in your home. A study in 2014 suggests that a compound in marijuana could slow down your body’s production of proteins that accumulate if and when a person develops Alzheimer’s disease. There is also research that studies if it could mitigate brain damage from stroke or concussions. Doctors are using marijuana to treat glaucoma. Marijuana lowers the pressure inside the eye. Studies in the early 70’s show that smoking marijuana lowers intraocular pressure and the effects of the drug can prevent blindness. 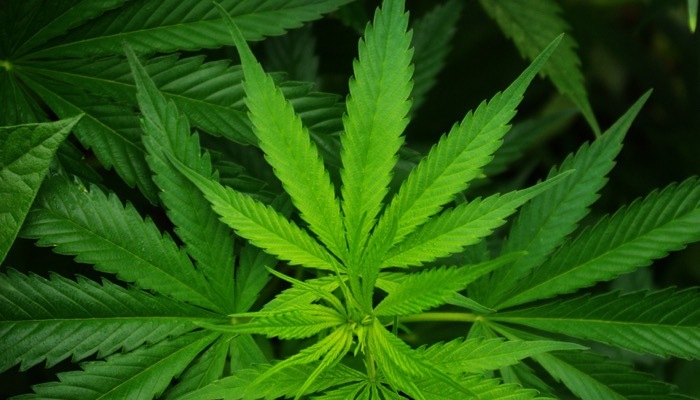 Researches report that cannabis relieves pain and inflammation. It may help people with rheumatoid arthritis. It also promotes sleep. 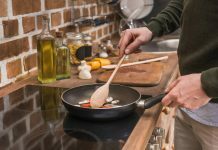 This list is much longer than is presented here and there are so much more compelling reasons on why it’s beneficial to grow a weed plant than can be listed down. Here are some more of the medical benefits of marijuana that you probably never knew. Now that we have more than enough reasons, let’s take a look at some of the ways you can grow a weed plant. First of all, decide where you want to grow a weed plant. Designate a room or space, whether it’s indoor or outdoor and that would also depend on the legality in your area. The great thing is the plant isn’t so sensitive so it can be a closet, a spare room or a space in your basement. If you intend to grow it outside, you’ll most likely spend a lot of time with it and this guide on the best patio umbrella is informative to get you the things you need to get set up. 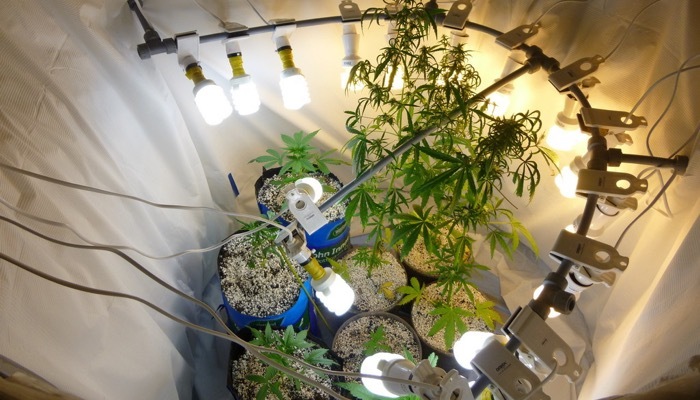 A very crucial factor to successfully grow a weed plant is the lighting. You need to expose it to a lot of sunlight and then help it with a lamp. You need a lamp that is specific to growing plants. You need to make sure that it has extra lighting after the sun goes down. 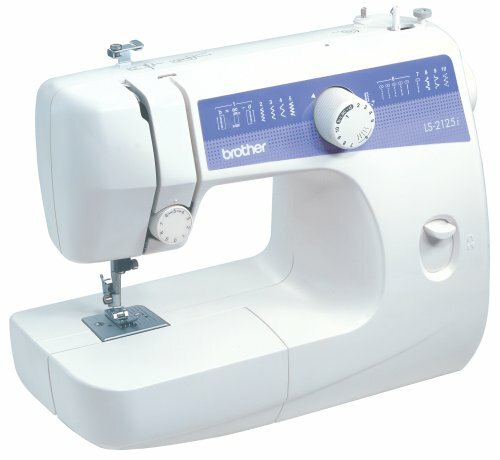 The more light, the better. You need to make sure that your plant has the right temperature and humidity when setting up how to grow a weed plant. When the lights are on, the temperature should be between 68 and 78 degrees Fahrenheit. Then drop it down by 15 degrees at nighttime. Your grow room or area should be relatively dry so make sure it’s not too warm. As you grow a weed plant, keep in mind that proper ventilation prevents the mold, fungi and other unhealthy organisms to grow. If it lacks proper ventilation, the pores in the leaves of your plant may clog and the leaves will eventually die. 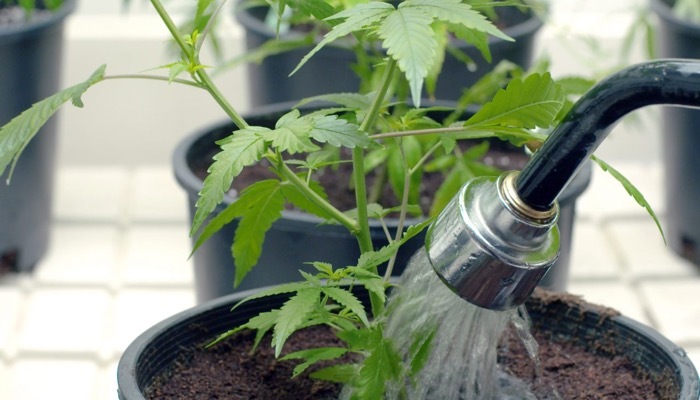 It is important to water your weed with high-quality water. Chlorine is not a healthy additive for growing marijuana so make sure to buy anti-chlorine drops if you have high chlorine content in your area. Additionally, you can put fertilizers and other nutrients as you grow a weed plant to make it healthier. You should care for it the way you care for any plant that you grow. On the other hand, you may also check out our article about cigars, its composition, and its popular varieties.